Here is the opening to my #TLT13 presentation this week. The greatest allegory ever written isn’t Animal Farm by my literary hero (God, how he’d hate that description), George Orwell. 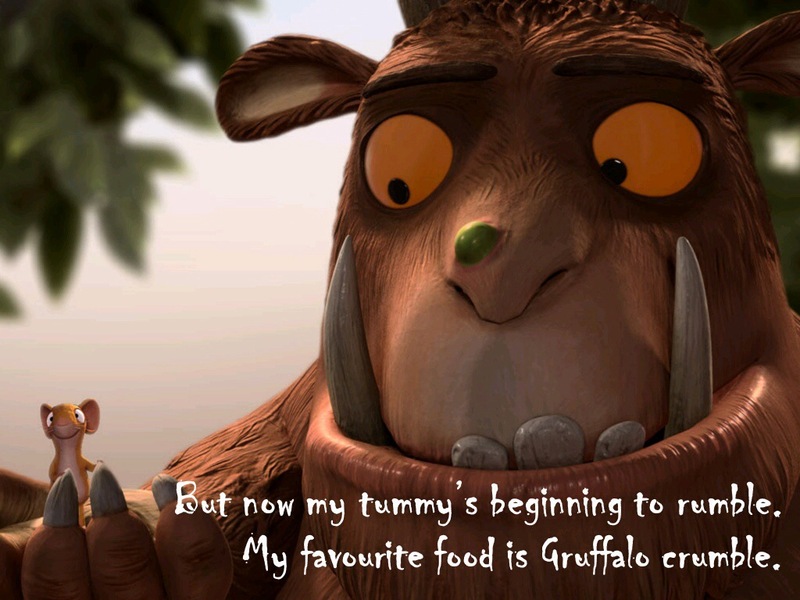 Instead it is Julia Donaldson’s seminal ‘The Gruffalo’. Undetected for years, this ‘children’s book’ (and I’m doing the fingers version of inverted commas as I type) is actually a sophisticated deconstruction of perils of the 21st century teaching profession. 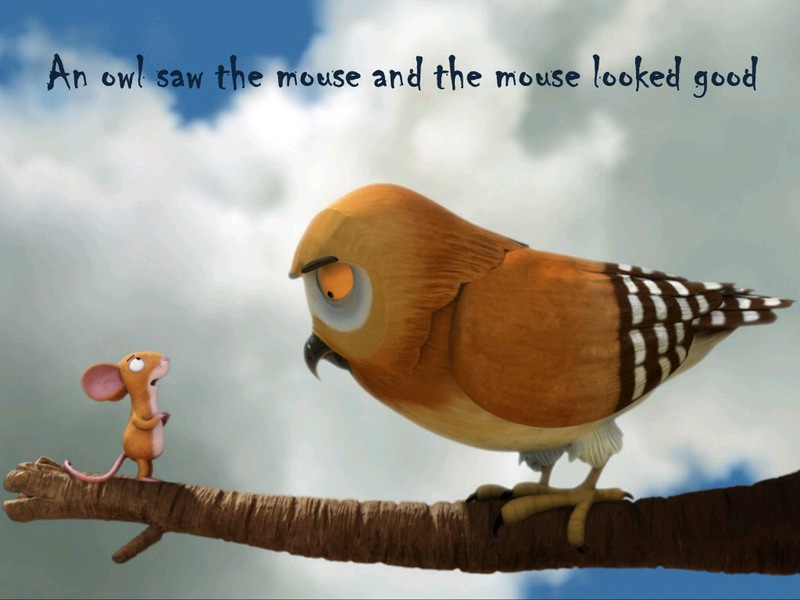 The protagonist of The Gruffalo is the humble mouse, a metaphoric representation of good (in the non-Ofstedian meaning of the word) teachers everywhere. Making their way through the deep, dark wood – or would – of the educational landscape (deep at the best of times, dark at the worst), these teachers seek to harm nobody in their quest for the sustenance that keeps them going. And then the antagonists arrive upon the scene to thwart them in this humble, but confident, ambition. The first of these antagonists is the fox. Cunning, sly, clever and adept this creature emerges from his “underground house” (aka bunker) clearly denoting him as the metaphoric representation of the political class as a whole. The predatory nature of this foe threatens the well being of our heroic mouse in a number of ways. Constant revision of the curriculum, changes to assessment processes and accountability measures are some of the more obvious of these threats, particularly when they are made without the input of the profession and are timed to demonstrate educational progress within the electoral cycle. More insidiously though, the crafty and foxy politicos (of all persuasions) and their cheerleaders have sought to unpick the very terms and conditions upon which the mouse operates, introducing performance related pay and endless deferrals of the retirement age. And how does our brave protagonist respond? 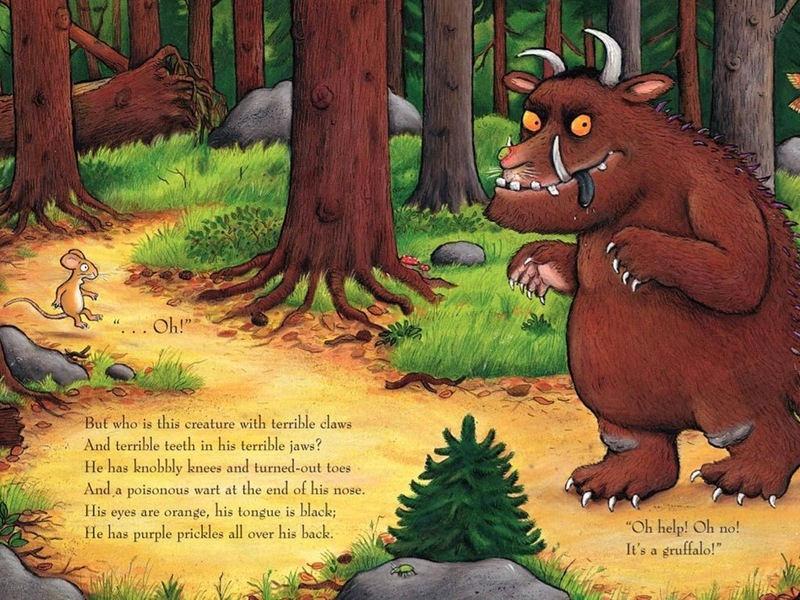 By conjuring up the spectre of an unthinkably scary beast with terrible claws, teeth and jaws: a Gruffalo!! This beast is a metaphor for an unrestrained and highly defensive teacher autonomy that in turn threatens the fox with a potential roasting and temporarily wins the day as the fox speeds away. But it is a phantasm conjured up in the mind of the mouse, isn’t it? The second of our predatory antagonists to corner our symbolised teaching profession is the snake. Deadly, venomous and constricting in nature, this inhabitant of a log pile house (aka dead wood) is the perfect metaphor for Ofsted and the other accountability measures. As he slithers towards our hero he brings with him the multiple threats of special measures, snapshot judgments (in 20 minute observations and virtually zero notice inspections) and potential division between school staff and the parents of children. Most threateningly of all though is the effect that the snake has upon the leadership teams for whom the Trojan mouse works, and the pass-the-parcel panic that follows. And how does our brave protagonist respond? By conjuring up the spectre of an unthinkably scary beast with orange eyes, a black tongue and purple prickles: the Gruffalo!! Although this sounds like a literal description of a teacher who has been up all night planning lessons for an inspection, it is in reality the same metaphor of an unrestrained and highly defensive teacher autonomy mentioned earlier. And again, although it wins the day by threatening to scramble the snake to force him to slide away, it is a phantasm conjured in the mind of the mouse. Isn’t it? The final antagonist to seek out the mouse as potential prey is the owl, an aerial creature of the night with a propensity to swoop silently in deadly fashion. Fresh from his “treetop house” (aka ivory tower) the owl is a far-from-ideal-but-nonetheless-accurate representation of too many senior leadership teams, bringing as they do the multiple threats of initiative overload, Ofsted-readiness and C grade fixation. Perhaps worst of all though, these supposedly wise owls inflict upon their mice a top-down, trickle-down mentality to pedagogy and training that is rooted in spotting the deficits of teachers, not the surpluses. And how does our brave protagonist respond? By conjuring up the spectre of an unthinkably scary beast with knobbly knees and turned out toes and a poisonous wart: the Gruffalo!! And once again this metaphor of an unrestrained and highly defensive teacher autonomy momentarily wins a victory, as the predator flies off, chilled at the thought of becoming owl ice cream. But isn’t the Gruffalo just a phantasm conjured up in the mind of the mouse? 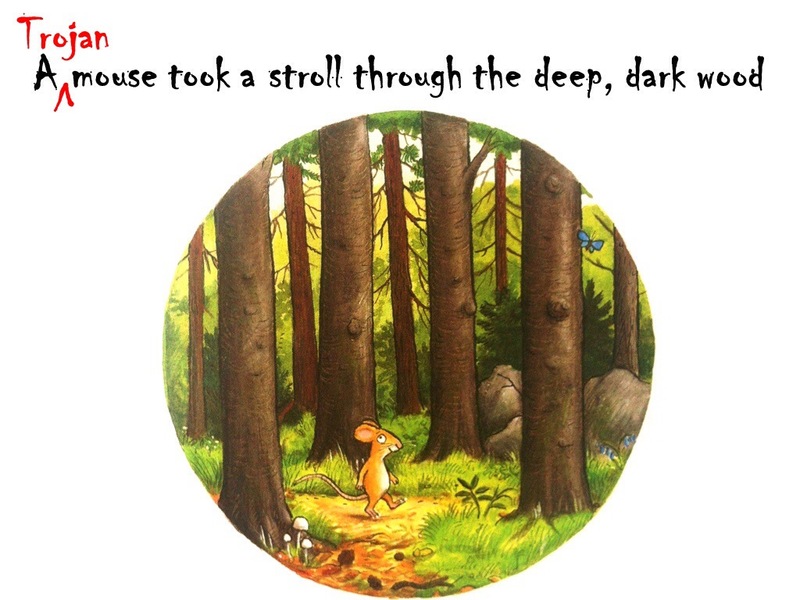 Apparently not, because the final antagonist to arrive in the deep, dark wood of education is the Gruffalo himself. You see, the problem with an unrestrained and highly defensive version of teacher autonomy is that it becomes self-consuming. The spectre conjured up by the mouse to alleviate the threats of the political class, Ofsted and leadership teams is perhaps the biggest threat of all to the Trojan mouse teacher because it demonstrates that the fox, the snake and the owl have become more than they should be in the mind of the mouse. But it is at this point, the most worrying in the book, around which Donaldson pivots her whole allegory. The Gruffalo tells the mouse that “you’ll taste good on a slice of bread” and this prompts our protagonist to change the frame of reference for teacher autonomy. Instead of being unrestrained and defensive, the mouse takes a hold of the situation and goes on the offensive, fully utilising his agency to ward off the predators one by one. But it is the final victory that is most important for the heroic mouse, our represented teacher. 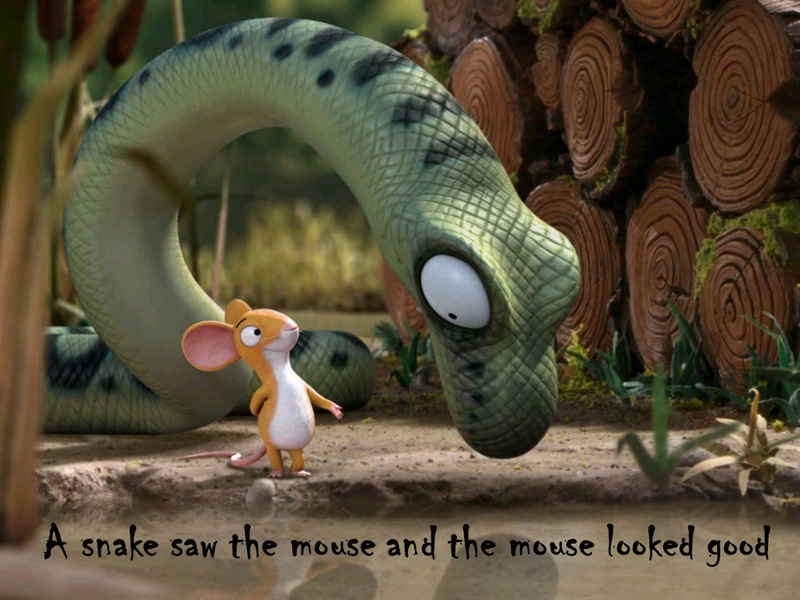 Having banished for once and for all the other predators the mouse, in this interaction, fully masters the negative elements of his teacher autonomy and watches as the Gruffalo flees as “quick as the wind”. In order to defeat the antagonist without the mouse has utilised the antagonist within, but the real success is that in doing so the mouse has actually conquered this internal antagonist. And the result of this symbolic journey, the whole point of this allegory, is that the mouse is finally able to secure the one thing he was seeking to secure in the first place. 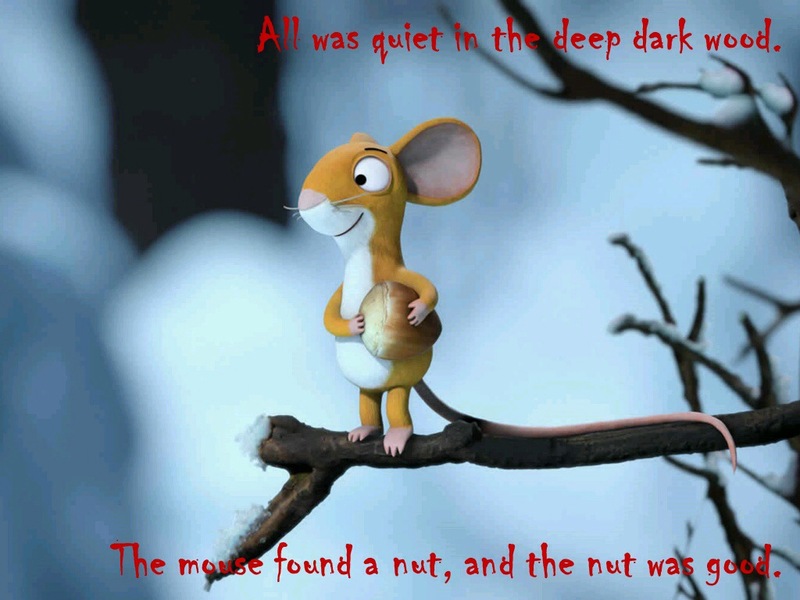 The nut, not mentioned until this final line of the allegory, is a metaphor for student learning. It had got lost in the conflict between the mouse-teacher and the fox-politicians. It had got lost in the battle between the mouse-teacher and the snake-inspector. It had got lost in the fight between the mouse-teacher and the owl-leader. Most of all, though, the nut of student learning had got lost in the clash between the mouse-teacher and his negatively expressed autonomy. It was only when the mouse-teacher took control of his autonomy that the path to student learning was fully cleared. 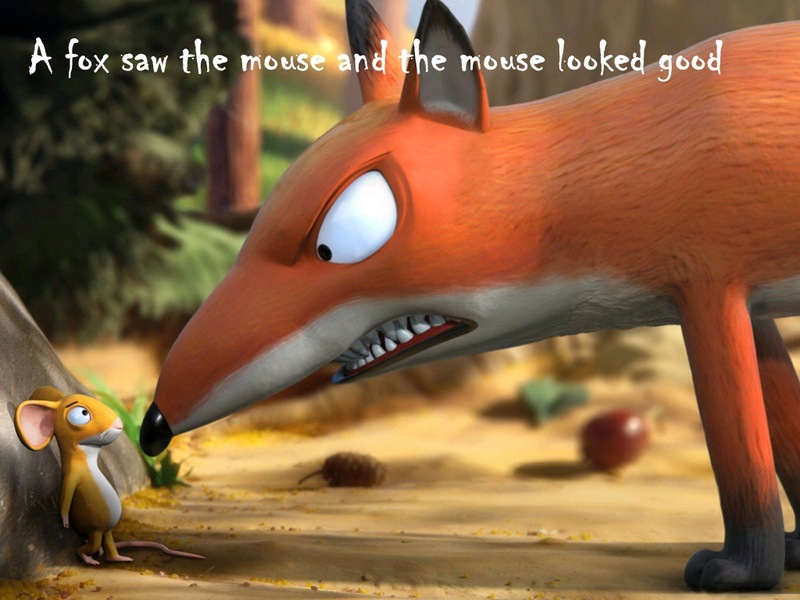 And that is a lesson to us all, be we foxes, snakes, owls or mice. ← My Toby Young Moment? Keven. This is the best thing I have read ALL year. A superb analogy of teachers and teaching; leadership; Ofsted and political interference. 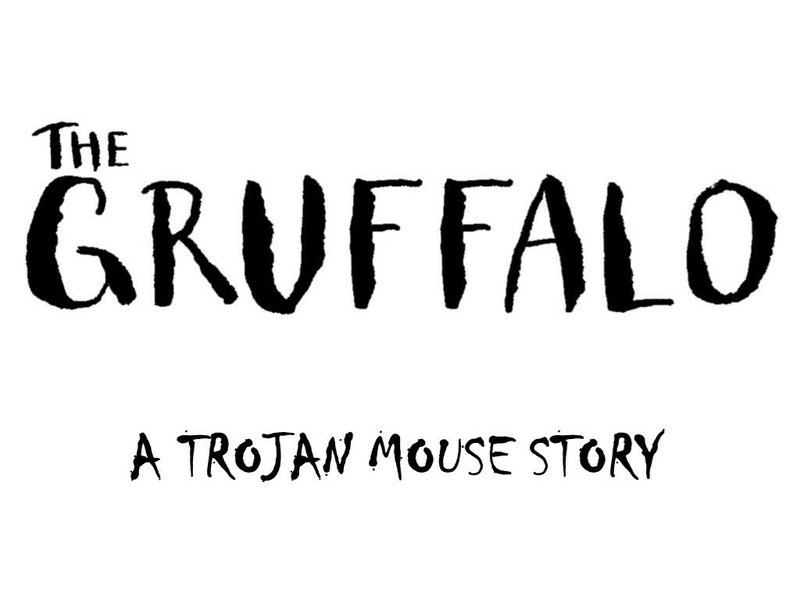 An absolutely blinding stroke of genius; ’tis The Trojan Mouse series. Lovely Keven. It will make bedtime reading just a little more interesting when the book choice is The Gruffalo! Even as an outsider it made me chortle. My son loves this story and now his daddy will see it in a whole new light. Masterfully done sir!